How are we supposed to “celebrate” Eid with no water and no electricity? Life in Pakistan has never been easy. The living conditions continue to deteriorate with each passing year. The effects of climate change, coupled with the water crises, are making life harder and harder for people living here. The power outages do not help either. However, this year, the repercussions of climate change and the water crisis are being felt the most, and things are about to get much worse. 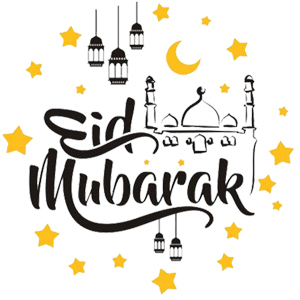 Today is Eid, which many people in the colonial parts of the city, especially certain gated communities, are enjoying to the fullest. Perhaps because they do not face the same problems as us common people. They happen to be unaware that they are definitively going to be next in line. These participants of Eid festivities portray the same picture as that of cattle about to be sacrificed – munching their last meals, drinking water still available and uttering meaningless but satisfied sounds, without having any idea about their sorry fate. No previous Eid has been as full of anxiety as this one. 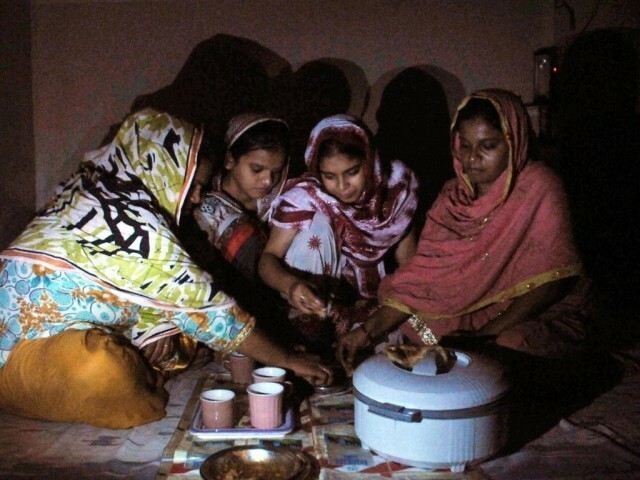 Sitting at home, bearing the lack of electricity for two hours and water for even more, I am wondering what kind of Eid is this, where slowly the basic necessities of life are being taken away from us. Wherever I look, whoever I ask, I see the same outcry: there is no water and no electricity. If the posh areas of this city are facing this crisis so badly, one can only imagine what it would be like for the citizens of the less privileged areas like Landhi, where people protest regularly in hopes of getting some water. On the one hand, India diverts Pakistan’s water to other sources, effectively depriving us of our river’s water, while on the other, certain gated communities take whatever little water is left from the commoners in Karachi. Gul Hasan Kalamati, a representative of the Karachi Indigenous Rights Alliance (KIRA), addressed this fraud himself. He suggests that people living in the comfort of their gated communities may never experience load shedding (as much) or water shortages, while the rest of Karachi suffers.The situation was never as grave as it is now. The privileged ensure they keep getting water at the expense of the ordinary citizens of Karachi. Meanwhile, the residents of other areas face water shortages or are forced to resort to buying it from the water mafia. The writing is right there on the wall, and a question haunting most citizens of the metropolis is, how we are supposed to “celebrate” Eid with no water and no electricity? There is no point in living in a major city of Pakistan when we have to endure the same conditions as underdeveloped villages. However, this stands to be our reality for the near and distant future, one we must come to terms with. Just imagine, the most basic right being snatched away from our people, literally killing them when we factor in the heat waves, and by the hands of whom? By the very hands of those we have given the power to run the country. Then comes the Indian conspiracy to turn Pakistan into a barren desert by blocking its water, which has been active for quite some time now. As an enemy – one with whom we have fought three wars – this is exactly the kind of behaviour to be expected, but what have we done about it so far? The World Bank has rejected Pakistan’s objections to India’s repeated violations of the Indus Waters Treaty, the most prominent one of whom is the Kishanganga Dam, hereby permitting India to continue building more dams solely for the purpose of stealing Pakistan’s water. Pakistan has thus far been unable to put an end to this naked aggression and therefore, it would suffice to say we have lost the war for water despite being a nuclear power. According to a study, Pakistan may run out of water by 2025, hence, the window for meaningful action in this regard is fast closing. If we start now, it would take at least six years to complete the Kalabagh dam, which is almost the amount of time for which Pakistan’s water supply is slated to remain intact. The effects of the water shortage brought forth by India’s water conspiracy have already started taking their toll on Pakistan’s agriculture, with our mango exports, kharif (monsoon) and rice crops in danger due to irrigation problems. Moreover, without securing our water resources, we cannot ensure an absolute end of power outages. Hence, India achieves two goals by diverting the flow of rivers into Pakistan at the same time. Firstly, the utter chaos and even anarchy in the long-term, when the citizens’ protests for water turn violent. Secondly, the damage to Pakistan’s economy caused by the suffering agriculture as well as the power-hungry industries. Both would play a huge role in destabilising Pakistan to the core – an objective that remains the guiding principle of India’s hateful, war mongering policies towards Pakistan. The future looks dark, with Pakistan about to turn barren, thanks to a vengeful neighbour bent on destroying us. However, our own highly inept governance hasn’t helped either. Corrupt politicians, notably the Pashtunkhwa Milli Awami Party’s (PkMAP) chief Mehmood Khan Achakzai, Asfandyar Wali Khan of the Awami National Party (ANP) and Maulana Fazlur Rehman have been playing dirty politics on the Kalabagh dam issue their entire careers. Having built the premise against dams by citing fabricated facts, they do it for their own petty gains and coerce the state of Pakistan into not building more dams. Playing the Pakhtun card, threatening to split Pakistan, using intimidation and aggressive slogans vowing to annihilate Pakistan if the Kalabagh dam is built, all constitute some of the tactics nefariously used by these “leaders”. All hope is not lost though; we can still save ourselves from doom by demanding more dams be built. We may be spending this Eid in agony, but we can make sure that the many Eids to come aren’t the same as this one. A massive social media campaign is already ongoing in this regard, but perhaps more should be done on a grassroots level. For instance, in the upcoming General Elections, votes should be given only to those representatives who promise to build dams and work towards solving the water issue during their tenure. As a nation, we should safeguard our national interests and preserve the future of our upcoming generations by saying no to those obstructing the building of more dams. We must also stand up against the water mafias and the privileged communities in cities that deprive the common citizens of water. This is the only solution, lest we intend on spending more Eids without water and electricity, while losing loved ones to the heat wave. The time to act is now, or we lose our collective future forever. All Shahid Afridi did was ask us to look in our own backyard and do more – what’s wrong with that? India has not taken”your” water. India has taken it’s fair share of water. NOTE that India is alloted 20% of the Western River flow under the IWT, which they have never fully used, along with the right to build “Run of the river” Hydroelectric projects!